Two weeks is long enough to wait for lab results—in fact, it’s too long. When I saw my regular gynecologist on February 18, the first time since my hysterectomy, we discussed my ongoing vaginal discharge. He took cultures for bacteria and yeast and did yet another Pap test—my fifth in nine months. I have waited two weeks, and even longer, for lab results in the recent past. Thus far, no one has given me a good explanation for why the results take so long. By yesterday, 14 days after my office visit, I was weary of waiting and called my gynecologist’s office. The receptionist put me through to the nurse, and she pulled up my reports immediately: all negative—which is, of course, positive. I didn’t belabor the point about why they hadn’t called me, and why I had to call them. Hearing this news was very welcome, especially because my first Pap report last summer was positive for atypical glandular cells of undetermined significance (AGUS)—and also because we are in the midst of such a frigid, snow-laden winter (here in central NJ we got another 7 or 8 inches today). This Pap report, like the previous three, read: Negative for intraepithelial lesion and malignancy. Cellular changes associated with atrophy are present. (In other words, my lady parts are old.) The bacterial culture report read: Routine genital flora. And the yeast culture report for all species of Candida was negative across the board. In addition, during my recent pelvic examination, my gynecologist saw no evidence of any unwanted lumps or bumps. He even said that the vaginal tissue looked quite healthy, almost as though I had not had vaginal radiation (brachytherapy). That could change in time with new cell growth, but for now—I’ll take it. What the doctor said during my visit was that, assuming the tests were negative, the ongoing discharge was likely the result of estrogen deficiency, which I have a lot of (so to speak)—not only am I postmenopausal, but I no longer have ovaries. This is a relief, but I will probably have to live with this discharge for the rest of my life. And I am still searching for a more thorough explanation as to why I have to “pad up and put up” with this nuisance problem. Wearing pantiliners isn’t a big deal considering the other side effects of cancer surgery and radiation that I could have—and that other women do have. (I will be writing more about this soon.) But it is frustrating. However, recently, and not for the first time, I found a UK-based publication that provides some reasonable information about the cause of postmenopausal discharge. American publications often omit the reasons for symptoms, but several times in the past I have found British publications that offer a bit more information in their patient pamphlets, leaflets, and brochures. Until I do a bit more research, I can provide at least one reference that offers a basic explanation for estrogen-deficiency-related vaginal discharge: After the Menopause: A Personal Guide for Women by Dr. Annie Evans, Women’s Health Specialist, produced by Novo Nordisk Ltd. Despite the fact that my gynecologic oncologist said visual examination would be sufficient post-up care, I have had two colposcopies, one biopsy, five Pap tests, and two vaginal cultures. I know the doctors are following a prudent course of care, and I am of course very grateful that my recent lab tests are negative. But I can only assume that light vaginal discharge following menopause and/or total hysterectomy is an under-reported problem if it caused my doctors enough concern to do so many tests. Ladies, for your own sake and for the benefit of your sisters, please be sure you tell your doctor about all of your ongoing symptoms—and keep asking questions until you get answers that ease your mind and help you cope with whatever problems you face. Sometimes information is the best medicine. 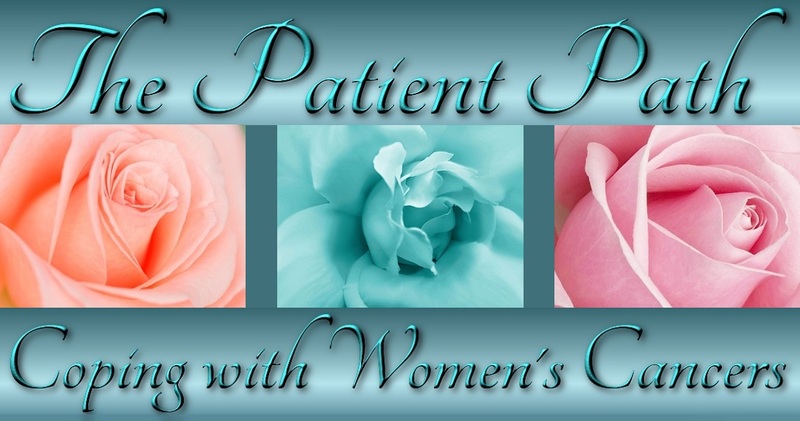 For more of my uterine cancer story, click here. Pam, I am beyond thrilled for you…..much love, Kathryn. Thank you, Kathryn. They’ve put me through a lot, but I’m still standing. 🙂 Love . . . Thanks, Mom. In retrospect, I think I had a lot of needless testing. But better to be safe . . .